Shenzhen is the only city in the PRC that borders Hong Kong, giving it an unique regional geographical advantage in terms of logistics. Shenzhen is currently the headquarters to 58 out of the top 500 foreign invested enterprises in the PRC and 11 out of the nation’s top 50 enterprises have set up businesses including Epson Engineering (SZ) Ltd., Ricoh Industry (SZ) Ltd., and Huaqiang Sanyo Electronics Ltd.. Up to 2001, there were 1860 projects involving foreign investment, with a total investment of US$ 4 billion. In 2002, foreign investment in Shenzhen has increased by 36.1% as compared to 2001 to reach a total amount of US$5.186 billion, of which direct foreign investment comprises US$3.191 billion. Foreign investment covers a wide range of industries such as electronics, foodstuffs, textile and garments, pharmaceuticals, metals and plastics, real estate, finance, transport and catering businesses. The respective share of paid-in foreign investment in the primary, secondary and tertiary industries is 0.2%, 63.77% and 36.5%. The annual increase in actual use of foreign capital amounted to 45.9% in 2001. Many foreign invested operations have enjoyed excellent performance and handsome returns by establishing in Shenzhen. Evidently, many other enterprises have followed suit in augmenting investments and expanding businesses in Shenzhen. The majority of foreign investment has been focusing on the high-tech and manufacturing sectors. Shenzhen will continue to target foreign investments in these sectors in 2003.
wholly foreign-owned enterprises (each referred to as “Foreign Investment Enterprise”, and collectively referred to as “Foreign Investment Enterprises”). Additionally, foreign investors often set up representative offices and branch offices in Shenzhen. Set out below is a list of laws, rules and regulations, at both the national and local level, which are relevant when establishing a Foreign Investment Enterprise in Shenzhen as well as to its operations thereafter. Together, these national and local laws and rules provide a legal framework establishing the independent operational rights of Foreign Investment Enterprises and to protect the legitimate rights and interests of both domestic and overseas investors in the PRC. the Law of the People’s Republic of China on Wholly Foreign-Owned Enterprises (the “PRC Wholly Foreign-Owned Enterprise Law”) – for the establishment of Wholly Foreign-Owned Enterprises. Liquidation Measures for Enterprises with Foreign Investment. Additionally, the PRC State government has also issued a “Directory of Industries for Foreign Investment” in order to provide guidance and approval of foreign-funded projects by giving four classifications of industries for foreign investment, namely industries which are encouraged; permitted; restricted; or forbidden. Complementing the above national basic laws and rules, there are also local rules and policies for setting up Foreign Investment Enterprises pertinent to Shenzhen which are outlined below where appropriate. Once approved and established, all of the Foreign Investment Enterprises (apart from the unlimited liability type of contractual joint ventures) are considered Chinese legal entities and as such must abide by all PRC laws, decrees, rules and regulations. These include the PRC Labour Law, the Unfair Competition Law, the Product Liability Law, the Advertising Law and various environmental protection laws. Given their Chinese legal entity status, Foreign Investment Enterprises (apart from the unlimited liability type of contractual joint ventures) are allowed to hire Chinese nationals as employees and are able to purchase land use rights on their own account (unlike representative offices which are not able to purchase land use rights on their own account). Specific laws, many of which are applicable to one or more types of Foreign Investment Enterprises, have also been promulgated by the PRC government in relation to more specific areas of the law, such as taxation, business registration, accounting, foreign exchange, equity requirements and registered capital. These laws have been enacted with a view to increasing international economic co-operation and technological exchange between the Chinese parties and the Overseas Corporations. Through the various legislation, the Government protects the investments of Overseas Corporations, the profits due to them, and their other lawful rights and interests, pursuant to their government approved agreements, contracts and articles of association. Generally speaking, applications for the establishment of Foreign Investment Enterprises are usually dealt with at the provincial or local government level in charge of the geographical locality of the operation. Many of the policies of these local governments will vary depending upon their prevailing local, regional and national politics. In our case, application should be made to the Shenzhen Municipal Government. 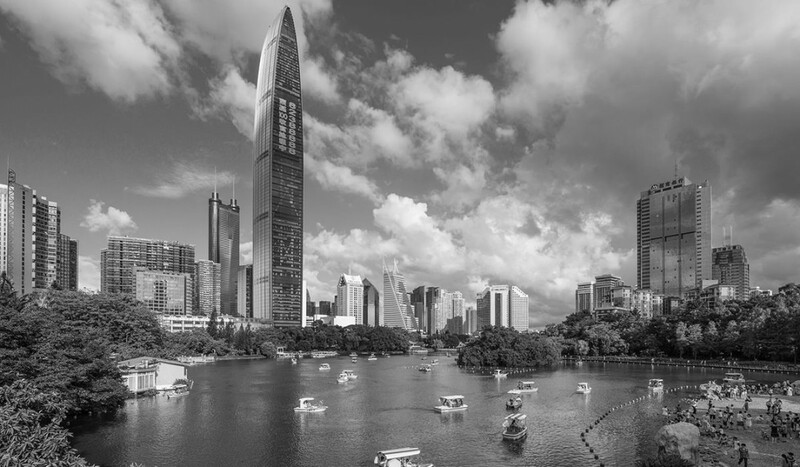 More specifically, stipulations by the Shenzhen Municipal Government provide that applications concerning the setting up of Foreign Investment Enterprises are to be submitted to the Shenzhen Municipal Foreign Investment Bureau (hereinafter referred to as “SMFIB”). However, major projects are nearly always approved at the central government level in Beijing, PRC. Set out below is a description of the general steps and procedures that the Overseas Corporation must undertake when making an application for one of the three types of Foreign Investment Enterprises described above. These procedures are generally applicable for the applications of any of the Foreign Investment Enterprises, however references will be made where they differ for each different type of Foreign Investment Enterprises (for more specific details please see subsection “Specific Requirements” under the commentary for each type of Foreign Investment Enterprises) or where the Foreign Investment Enterprise engages in certain businesses and activities. any other documents as required by the SMFIB. if the said assets happens to be State–owned, an additional confirmation from the State Asset Administration for the assets evaluation results as well as a clearance from the department in question with the relevant asset ownership portfolio. Once the above documents have been submitted to the SMFIB and assuming that the SMFIB approves, it will then issue a “Project Approval Form”, which the Overseas Corporation will then use to go through registration procedures with the Industry and Commerce Administration Bureau for a requisite business licence in order to carry out its intended business. For Foreign Investment Enterprises with proposed businesses in real estate development or property investment and management, or alternatively where part of the capital contribution or terms of cooperation of the Foreign Investment Enterprise comprises of self-owned property, the Overseas Corporation must also submit a copy of the valid documentation for land use rights and property and building ownership to the SMFIB. For businesses in hotel, catering, recreations and warehousing, the Overseas Corporation must secure and submit to the SMFIB the valid approvals and licences from the relevant PRC authorities authorising its business and the use of its proposed facilities. Further, an approval issued by the Municipal Planning and Lands Bureau must also be obtained and submitted to the SMFIB for these businesses. Special approvals and licences, pursuant to current national PRC laws and regulations, are required for Foreign Investment Enterprises engaged in areas such as investment, construction, trade and commerce, leasing, freight forwarding, and transport. Under no circumstances should the Overseas Corporation make an investment in the form of property subject to an existing legal encumbrance such as a mortgage or a charge or property acquired under a capital leasing arrangement. The Overseas Corporation is responsible for the legality and validity of all the above-mentioned documents submitted. The SMFIB reserves the right to request the Overseas Corporation for documents to be resubmitted or revised or for further information and documents, within a prescribed time, when it is of the opinion that the submitted documents are inadequate or irrelevant to its consideration for approving a Foreign Investment Enterprise. In that event, the process of application and clearance will be subject to postponement. A sino-foreign equity joint venture (“EJV”) is a limited liability company, with a governing board of directors, established in the PRC with joint investment from the Chinese and foreign parties. EJV is considered a Chinese legal entity and as such must abide by all laws, decrees, rules and regulations of the PRC. In particular, EJVs are governed by the PRC Equity Joint Venture Law and its implementing rules. According to these laws, the foreign party to the venture, i.e. the Overseas Corporation, must invest at least 25% of the EJV’s registered capital. The underlying principle is joint effort and participation – the risks and losses of the EJV are shared by the parties in proportions to their contributions to the registered capital. Any profit that the Overseas Corporation receives may be remitted abroad in accordance with PRC foreign exchange regulations and in the currency specified in the joint venture agreement. Given its Chinese legal entity status, an EJV is allowed to hire Chinese nationals as its staff and are able to purchase land on their own account (unlike representative offices which are not able to purchase land on their own account). Shareholdings in EJVs cannot be transferred without the prior approval from the government and the consent of all the other parties to the EJV. The steps and procedures described under the section “General Establishment Procedures” applies to the establishment of an EJV. However, the following is various specific requirements particular to the establishment of an EJV. The first step in forming a EJV is for the Overseas Corporation to find a suitable PRC partner to enter into a non-binding letter of intent, known as a Memorandum of Understanding (“MOU”). Once signed, the Chinese party will seek preliminary approval of the EJV from the SMFIB and relevant government bodies. The MOU usually contains a detailed description of the proposed project, an estimate of the amount of investment required, the equity split between the Chinese and the foreign party, and a general undertaking by both parties to jointly explore and exploit the business opportunities agreed upon. Albeit the non-binding nature of a MOU, its is important to draft the MOU concisely to define the business scope of the EJV. If it becomes apparent that the submitted MOU is clearly inappropriate or requires modification, the SMFIB may require The Overseas Corporation to resubmit its application. It is paramount that the MOU reflects the preliminary views of the parties and state that the final agreement is subject to completion of the joint venture feasibility study and the execution of a binding joint venture contract between the parties and an articles of association of the proposed EJV. financial projections and economic cost and benefit analysis. Once the feasibility study report is submitted (usually by the Chinese party of the EJV) to the SMFIB, it will be initially reviewed. Then passed, via the local planning commission, to other government organisations, including those involved in labour planning and raw material supplies, finance and utilities, concerned with, or affected by the operation of the EJV. The contents of the report are important, as the various Chinese governmental organisations rely heavily on the report when making their decisions relating to the operation of the EJV. For example, if the electricity requirement of the EJV factory is underestimated, the Overseas Corporation could find the regular stoppages of the EJV’s operation given the lack of power. Similarly, if export quotas are overestimated, failure to meet quotas may be reason for restricting the EJV’s access to the domestic PRC market. The joint venture agreement sets out the legal rights and obligations of the parties to the EJV and the articles of association deal with the internal organisation and operation of the EJV. They must be written in Chinese, although a version in an agreed second language will have equal validity. The joint venture agreement is governed by PRC laws. It is often supplemented by ancillary contracts, such as technology transfer contracts, technical assistance contracts, trademark licence contracts, and various supply and distribution agreements. The articles of association mirror many of the provisions of the joint venture agreement. However, in the case of conflict or inconsistency between the two, the joint venture agreement usually prevails. Once all the necessary documents have been submitted, the review process will normally be completed within 3 months of receipt of the application. If approved, the EJV registers with the Department of Industry and Commerce Administration, which will issue a business licence, allowing the joint venture to carry on business activities in the PRC as a Chinese legal person. After which, operations may begin. From then, the EJV will need to open a foreign exchange account, obtain funding from foreign banks (if required), register for taxation purposes with the local tax authority, register at the Custom House for customs and obtain insurance with Chinese insurance companies. Under the PRC Equity Joint Venture Law, the Overseas Corporation must contribute at least 25% of the total investment: there is no minimum investment for the Chinese partner. The initial equity investment can take the form of cash, buildings, machinery, equipment, intellectual property rights, land-use rights, and technology, but cannot include labour. The theory behind the formation of EJVs is that EJVs are usually established to exploit the market knowledge and manufacturing capabilities of the Chinese party, and the technologies, know how and marketing experience of the foreign partner. Accordingly, it is usually the Chinese partner who contributes the buildings, land and other assets from their existing operations, while the foreign party contributes machinery, equipment, industrial technologies and know how. All contributions must be recorded in the joint venture agreement or in the articles of association of the EJV, together with respective values. more than US$30 million – 33% of the investment must be equity. US$10 million and above Subject to specific approval. The operation periods of EJVs vary according to the particular line of business and circumstances in each case. EJVs engaged in some business will specify the operation period of the in the joint venture agreement, while EJVs engaged in other types of business may choose not to do so. Where the operation period is specified, and if the parties decide to extend it, an application must be made to the SMFIB 6 months prior to the expiration of the operation period. The SMFIB shall decide whether to approve the extension within 1 month of the application. Termination of the EJV may be affected by agreement of the parties, subject to approval by the SMFIB and registration with Industry and Commerce Administration Bureau.